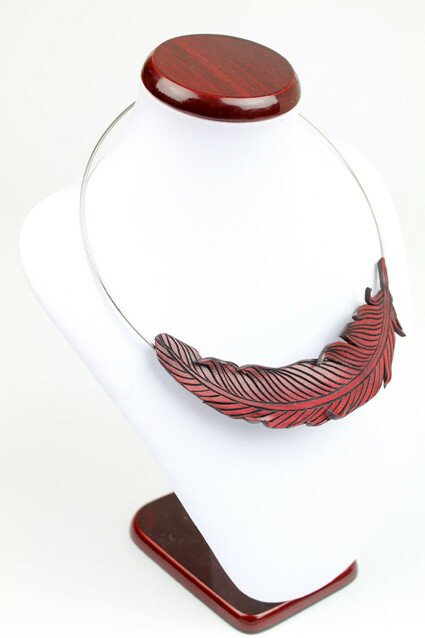 The Feather wire necklace was inspired by Nadine Jaggi's award winning costume 'Ornitho-Maia'. This piece frames the face beautifully and can be worn together with casual attire or can appear quite elegant and sleek for a special occasion. 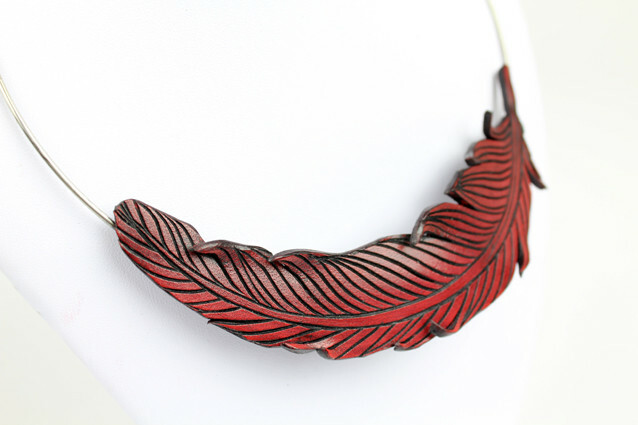 The Feather is hand carved and dyed which makes each necklace one of a kind. 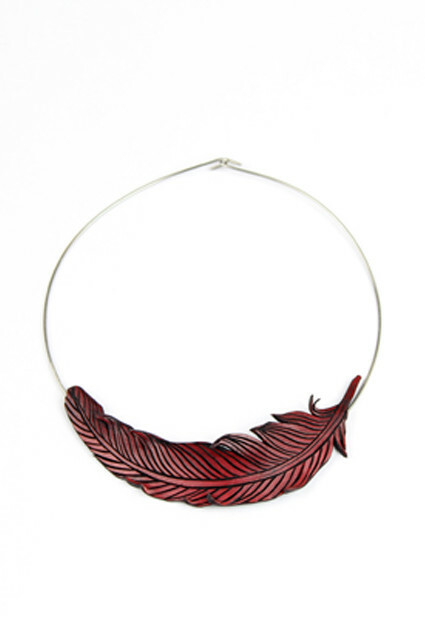 Please note that the feather may differ slightly from the image seen of this website. The stainless steel neck wires are available in a range of sizes, 16 inch, 18 inch and 20 inch. (Inside circumference).